It's no secret that there is much debate amongst cat owners as to whether cats should be kept indoors or allowed to roam freely outside. I'm of the opinion that it is up to individual owners to make that call - after all, we all want what we feel is best for our cats, and this can be dependent on individual circumstance. Since moving to a busy city, my cat Hobbes has become an indoor cat - and is perfectly happy and healthy. But I still feel it is my responsibility as a cat owner to keep him exercised, entertained and stimulated - and maintain his healthy condition since he no longer goes outside. 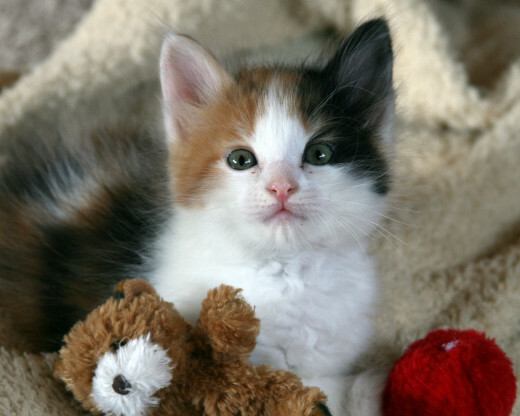 Indoor cats can benefit from an enriched, stimulating environment simply by purchasing, acquiring or even creating the right kinds of toys and accessories. Now, I'm not suggesting that you make your home a cat's playground - as not all of us have the space to accommodate huge cat climbing-frames or vast lengths of cat tunnel for them to play and hide in. 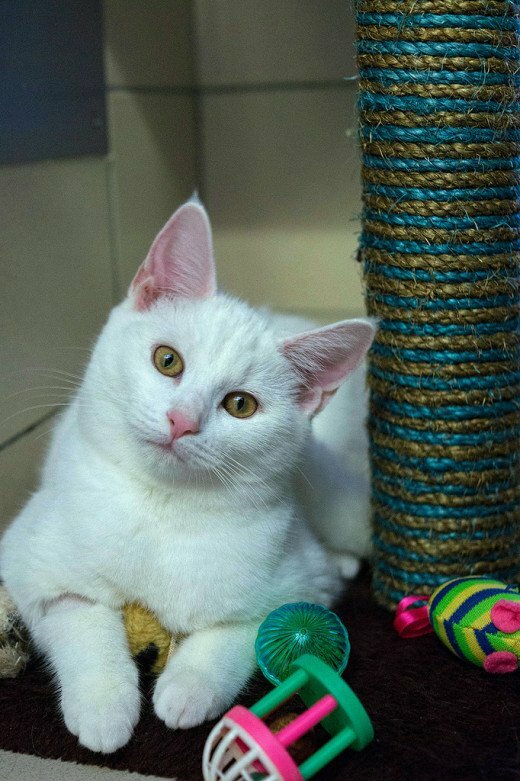 But no matter the size of your home, or what your circumstances are - if you are keeping your cat indoors then it is your duty as a cat owner to keep them stimulated, happy and healthy. Indoor cats do not get the same kind of exercise as outdoor cats. This is an unavoidable truth - and one that any cat owner must accept if they are making the decision to keep their cat indoors for whatever reason. This is why it is important to encourage exercise and play. 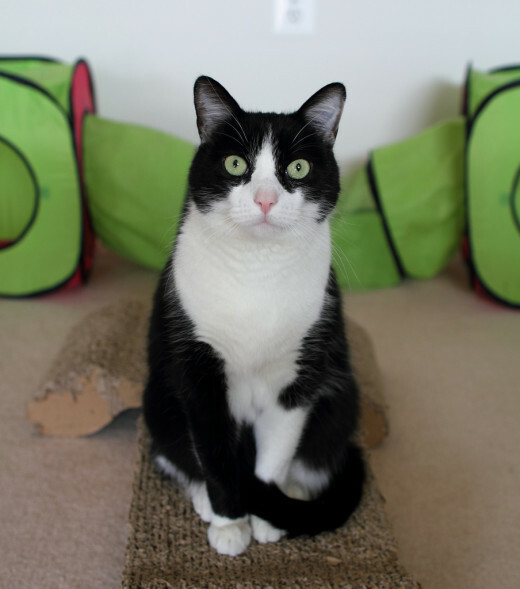 Cats are sedentary by nature, and even outdoor cats spend a lot of their time sitting still. But indoor cats can become more lethargic than normal due to a number of factors - depression, boredom and lack of stimulation to name a few. Lethargy is a type of fatigue and presents itself in cats through general drowsiness, laziness and a loss of interest in their surroundings. This is why it is vital to keep your cats entertained and stimulated if they are spending their life indoors. It is for this reason that I suggest purchasing a laser pointer for your cat. It's no secret that cats enjoy chasing things. They are predators; hunters. When outside they will chase small animals, birds and even other cats - so it is important to satisfy their need to stalk and chase! I bought my cat the Frolicat BOLT laser toy this Christmas (shown in the ad window) - and what I particularly like about it is the fact that it has an automatic setting. You place it on the floor (or a coffee table) set it to auto, and the laser shines in random directions. Cats love to hide. Just place an open box on the floor, on it's side, and watch. Nine times out of ten your cat will climb inside, and spend an afternoon peeping out at you. 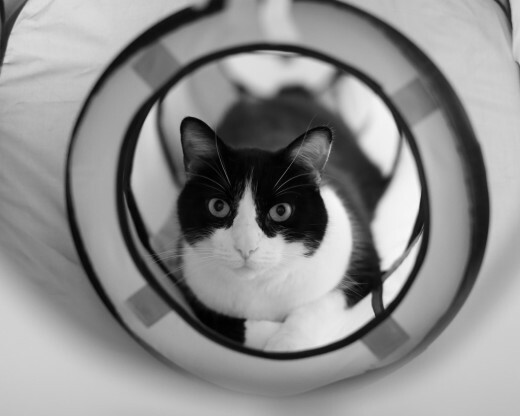 Investing in a cat tunnel is a great way to mix up your cat's environment and give them somewhere to hide and to play. These are generally very inexpensive - and you get a lot of bang for your buck because they are usually collapsible, easy to store, and last for a long time. Another great thing about them is that you can place them anywhere around your home - and I encourage this. Your indoor cat spends twenty-four hours a day, seven days a week inside the walls of your home. Create intrigue by changing their environment, even just a little. It is for this reason that I also suggest you hang on to your empty cardboard boxes, at least for a little while - and give them to your cat to play with. Obviously this isn't everybody's cup of tea; Having cardboard boxes scattered about the place does make things look untidy. But the next time you purchase something, as you are about to throw the box away just take a second to think about your cat. Would it really hurt if you left the box in the house for a couple of days while you're out at work? Just a suggestion - but simple things like this can make a big difference. Although this is inconvenient to us owners, we must accept that cats scratch for a reason. This is to stretch muscles, sharpen and maintain their claws, and aid in the shedding of their claws. Simply disciplining your cat for scratching the side of the couch, or pulling up the carpet will not remove their desire to scratch. 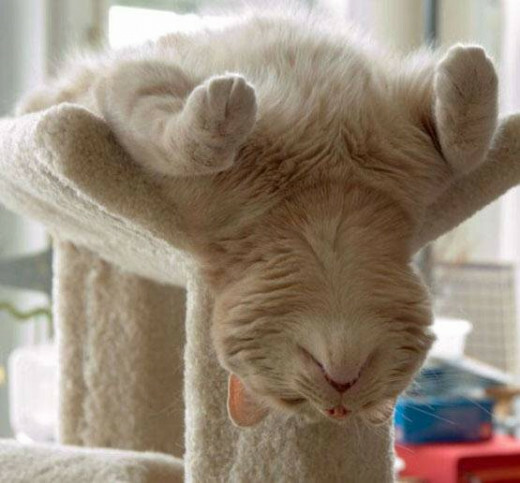 Investing in a cat scratching post is one way to allow for this natural behaviour, without having your furniture ruined. The only catch is that cats are fussy by nature, and not just any old scratching post will do. Take a look at the types of surfaces and objects that your cat likes to scratch. Is it upholstery? Is it wood, like a table leg? Does the material shred? Do they scratch downwards, along an object - or do they pluck and pick at the carpet or a rug? How tall or wide is the object that they like to scratch? These are all important questions cat owners must ask before investing in a scratching post. Take a look at your cat's behaviour and then try to select a scratching post that emulates the surface they have taken a shine to. My cat quite a large cat, and he likes to stand on his hind legs and scratch at the bed - stretching himself as he does so. For this reason, I deduced he needed a tall, wide post with a wide base. Cheap scratching posts are often narrow, with narrow bases - and the cat will inevitably end up pulling the thing over as they scratch at it. 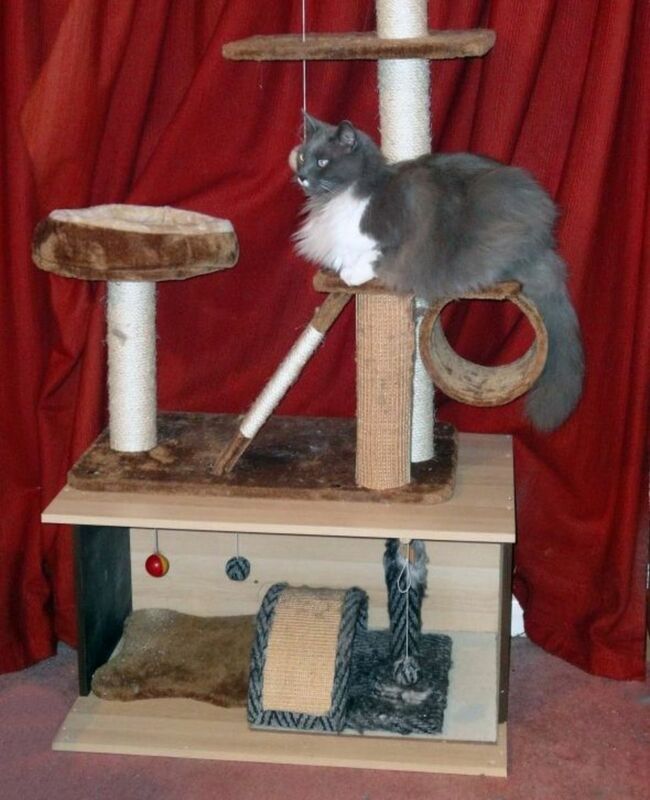 It is better to invest in a post that is sturdy, and of good quality, rather than buying something cheap that simply wont do the job that you (or your cat) want it to do. Pay attention to what your cat needs - and purchase something that best matches that. When you've purchased the post, place it in front of, or near to, the object or area your cat has been targeting. The idea here is to allow them the freedom to scratch - but encourage them to do it somewhere that won't end up making your home look like a squat! Another way to combat weight gain in your indoor cat is to invest in a tread-dispensing toy such as a treat ball. My cat absolutely loves Dreamies Cat Treats. And I mean REALLY loves them - as in he will literally bite your fingers off to get them. Because of his extreme, carnal desire for those tasty morsels - I used to poke holes in the treat bag with scissors - and then leave the bag on the floor when I went out to work. I'd make sure the holes weren't big enough for the treats to fall out of easily - and knew that he would spend hours nuzzling the bag around the house, picking and plucking at it to get to the treasures within. The same principle applies with a treat-dispensing ball. Obviously, to save money, you could just employ the old scissors-to-bag-technique I have outlined above - but a great thing about treat balls is that they are spherical (duh!). 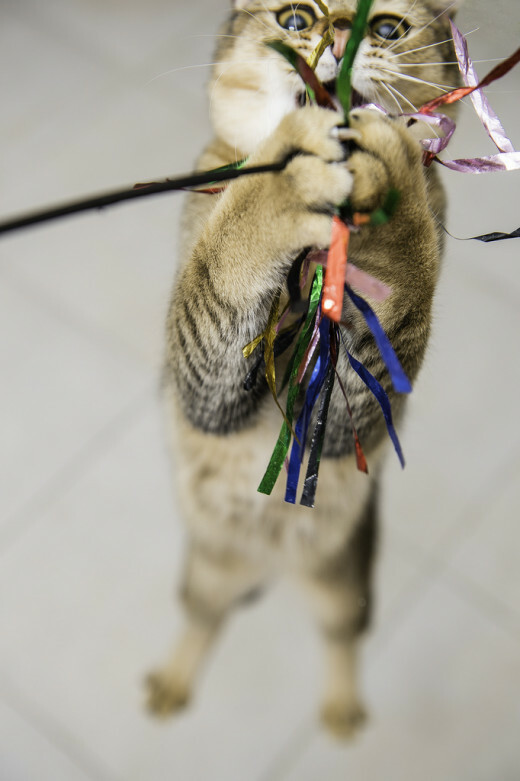 This allows for far greater movement, and your cat will literally have to run and 'chase' the ball, batting it and moving it around until the treats fall out. Not only is this engaging and stimulating for your cat, but it also helps to ensure that they get some much needed exercise. I touched briefly on this concept in mentioning using empty cardboard boxes, and poking holes in treat bags to keep your cat entertained. But there are a number of different, easy to make cat toys that you can create at home - as shown in the video opposite. One thing I will suggest is that - whatever you make - keep all toys together in the same place. This is because cats are very sensitive (and somewhat fussy) creatures, and something as simple as an unusual smell can put them off. 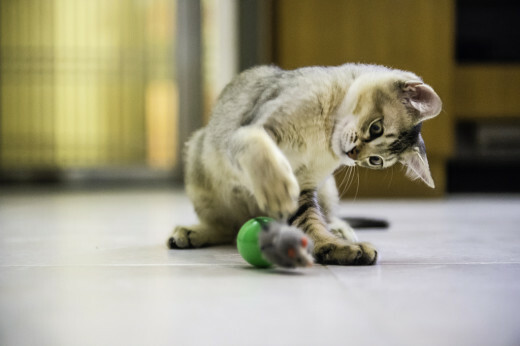 By keeping your DIY toys with your cat's regular toys, they will gradually become accustomed to the familiar smell - and should be more likely to accept and play with your new offerings. Another tip is to sprinkle your toys with catnip. My cat has his own toy box - a small ornamental chest that I picked up at a flea market. I bought a bag of catnip and sprinkled some in the chest before putting his toys inside. Now all of his toys are infused with the smell of catnip - and he absolutely loves them! 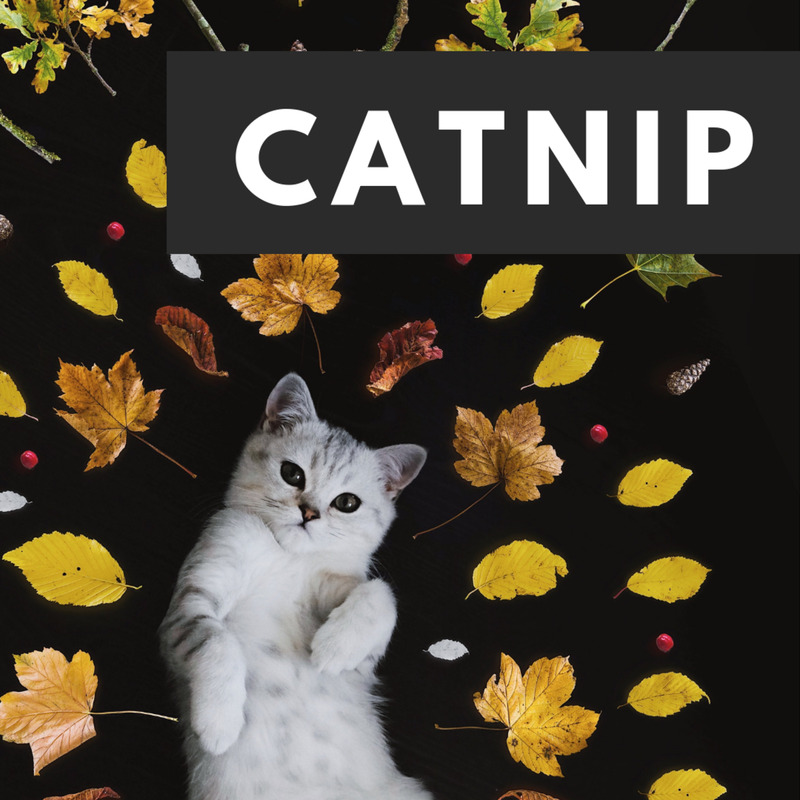 Catnip can be purchased from most pet stores for a reasonable cost - and Is a great value item because a little bit goes a long way. Disclaimer: I'm A Writer, Not A Vet! I've outlined above what I consider to be some of the most important toys and accessories for indoor cats - along with my own personal rationale behind these choices. However, I am obliged to say that I am no vet - nor have I had any training in animal care, or animal behaviour. If you are unsure about anything at all when it comes to providing the best care for your indoor cat - please consult your veterinarian. They are, after all, the professionals and will be able to give you all the advice you need if you have any questions or concerns. Haha it's amazing what they choose as toys. My cat Hobbes found a twig on the kitchen floor that he spent hours chasing, I didn't have the heart to throw it away so it stayed there for weeks before he eventually got bored of it. I'll have to post a decent picture of him once I have a better camera. My cat Lily looked like your white cat up there and she was indoor/outdoor but I still played with her as much as I could to give her exercise. She lived almost 20 years. A thin wiggly branch was as good as anything and she would outlast me every time! I know my kittens always loved balls or wiggly yarn. (or my husband's legs and feet first thing every morning since he was the first one up!) They are not hard to please.